The Brisbane River divides Queensland’s capital city and threads its way through the suburbs and into its hinterland. The challenge of connecting Brisbane’s halves has both inspired and frustrated the citizens of the ‘River City’. The river has meant far more than physical separation. 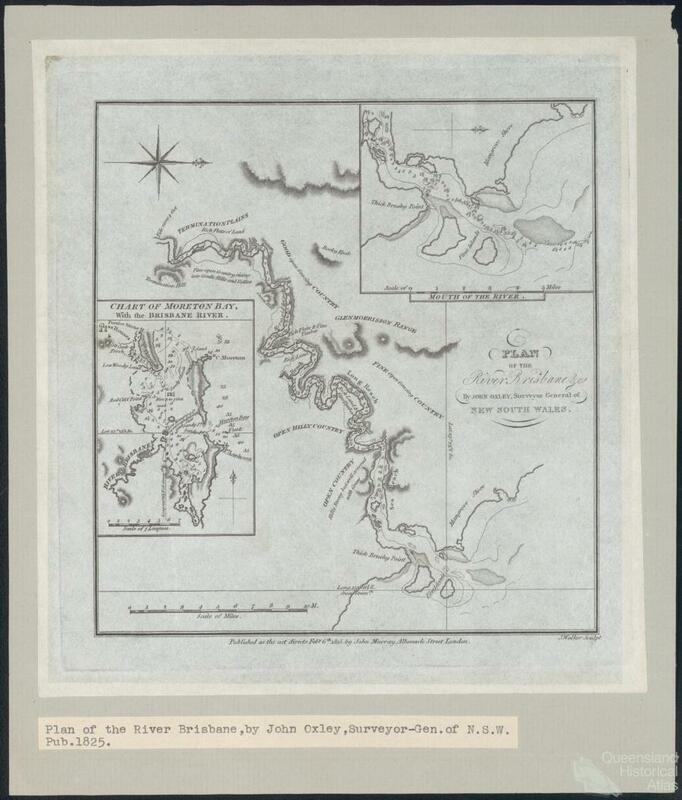 The first white settlers had little instinctive connection with the unfamiliar riverine landscape in which they found themselves. They grazed cattle and planted European crops, rather than rely on local foods in vivid contrast to the Aboriginal communities which thrived in the region since the end of the last ice age. The contest for possession of the riverlands forged an unbridgeable gap between old and new cultures. 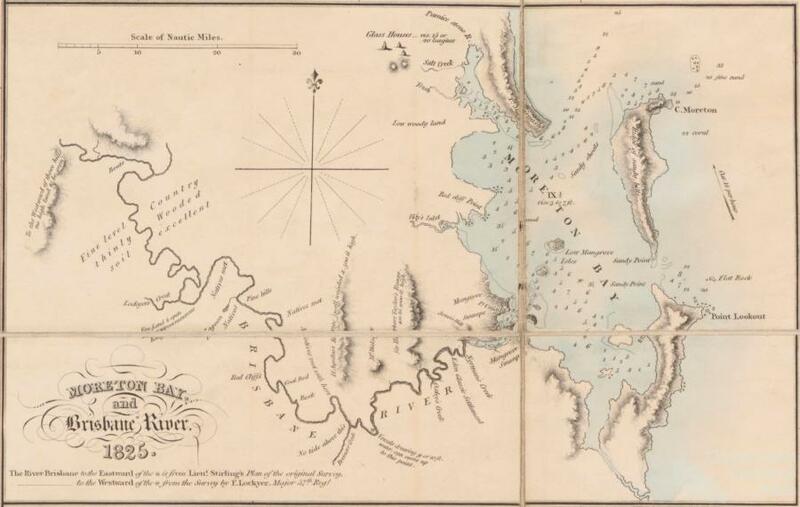 The first generations of European settlers were willing to harvest nearby forests for building timbers and to quarry riverside cliffs for building stones, but were unwilling to accept the river in its natural state as a navigable artery to open up new areas to settle and develop. 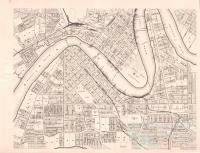 The river in its role as highway greatly influenced the shape of the city of Brisbane. In a hot, humid climate a spread of settlement from north to south along the wide, curving coast of Moreton Bay would seem appropriate; developing the convict settlement port at Dunwich on North Stradbroke Island into a Manhattan on Moreton Bay scarcely less so. Early immigrants to Brisbane faced an often frightening journey across the Bay which, rather than a pleasant centre of settlement, became a difficult foyer to the river. Economic pressures were far more powerful forces than climate. From the convict era until the final decades of the twentieth century, the Brisbane River transported goods between the inefficient port in the city centre and the upper reaches as far as Ipswich, Queensland’s second oldest city. 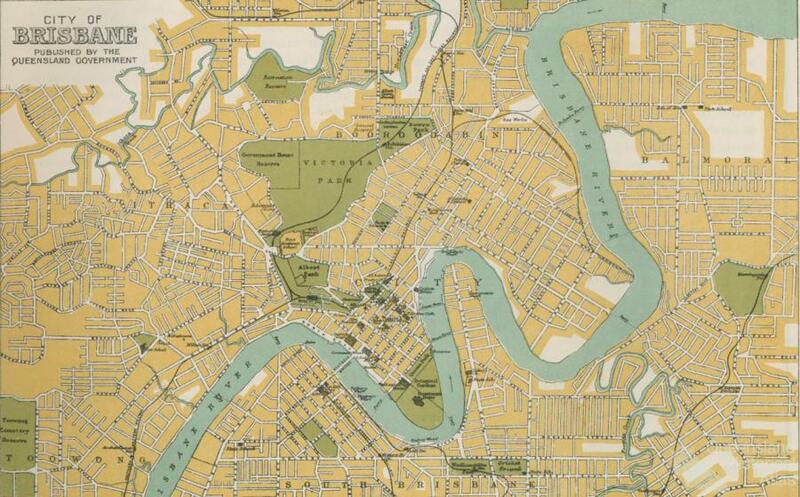 By the final quarter of the twentieth century, the port spread along the banks of the Brisbane River from the city centre to the river mouth. During all those decades, commercial interests cursed its meanders, shoals and shallows. 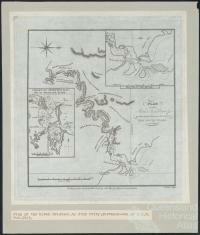 The river bar was repeatedly dredged, the shoals were blasted and deeper and deeper navigable channels for larger and larger ships were created; training walls were built and the bends were shaved in an effort to bring the river’s meanders under control. City development was inhibited by the awkward watery divide between the main port facilities on the south side and the administrative centre on the north. On the south side, warehouses and factories clustered around the old port and a huge rail terminal for bunker coal dominated the waterfront at Kangaroo Point. Raucous waterside pubs thrived; clusters of housing for waterside workers and a large general labour force were developed on the southern bank of the river. In the twentieth and twenty-first centuries immigrants from Europe and Asia invigorated the old working class suburbs on the southside, bringing with them new foods, different languages and unfamiliar customs. 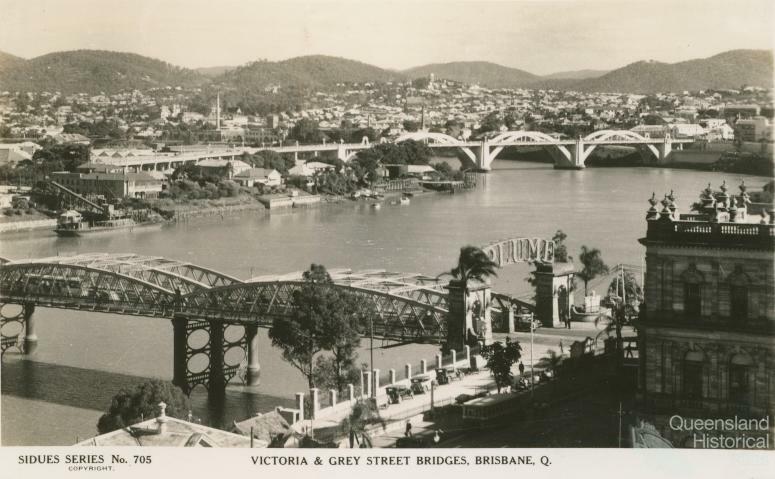 On the more genteel north bank, government administration and commercial headquarters resided in gracious buildings; ‘villa’ estates stretching east and west from the north Brisbane centre accommodated the leaders of government and the captains of industry. For well over a century, the call for more and more bridges sparked dissent over where they were most needed and what they should carry: all comers, or vehicles only, or bicycles and pedestrians alone, or public transport in isolated comfort. As ‘green’ bridges for cyclists and pedestrians and new traffic bridges appear above the river in the early twenty-first century, the cross-river problem is also being buried in enormous tunnels beneath its bed. The Brisbane River carries enormous volumes of water, but its capacity to provide sufficient fresh water for the urban communities in its lower stretches and rural communities in its upper reaches has always been questionable. Water storage and purification works in the upper reaches attempted to address the problem, but disrupted natural environmental flows. Many of the fish species which had delighted recreational anglers and fed thousands of Brisbane families disappeared when fish could no longer reach spawning areas upstream. 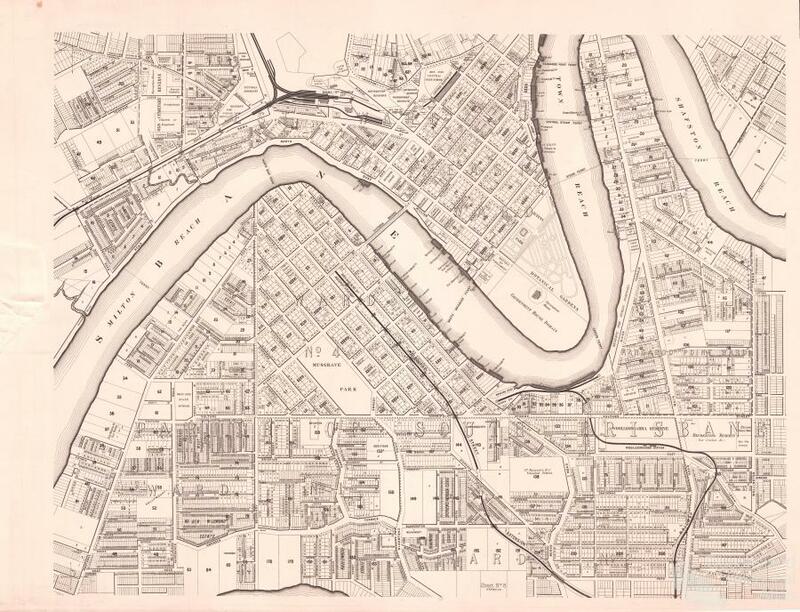 The engineering of the river, whether to improve navigation or to manage the water supply, excluded Brisbane people in the city reaches and they turned their backs to it. Generations of buildings faced the street, rather than the industrialised wharfage, a huge concrete expressway was allowed to occupy precious space in the central business district along the northern bank with little demur. Only a few areas were reserved for public recreation and only wealthy suburbanites could afford to live on its banks; they chose only those areas high above flood levels. Technology of various kinds separated Brisbane people from their river for more than a century and, ironically, helped them to bond with it in recent decades. Containerised shipping changed the Brisbane River and riverside port areas all over the world. A new port on one side of the river mouth and a huge airport on the other have not improved the human amenity of the estuarine mouth but, for the first time since Aboriginal times, the people of the ‘River City’ have taken the river to their hearts. The old port on the south side was razed to make way for temporary pavilions shaded by enormous quirky sails to house Expo 88, the international exposition which was part of the celebration of the bicentenary of white settlement in Australia. The pavilions gave way to parkland which, in the twenty-first century is being steadily eroded by apartment developments; no longer does the river divide the city on class lines. The wealthy command the waterfront. Even so, riverside bikeways, footpaths and parklands continue to attract new devotees no matter where they live. They defend the river passionately, even convincing government to abandon a large development scheme on the northern bank in the city centre. Nevertheless, fear that another huge flood will someday destroy lives, houses, bridges and buildings remains in the background, for the time being overshadowed by the glittering riverside city, the spacious leafy riverbank suburbs, and the colourful ferries which glide along the slow-flowing surface.